Eileen has had a passion for writing since her youth. She was the winner of the Augusta Chronicle's Newspapers in Education Award while in high school. She attended Augusta State University, majoring in Communications and Creative Writing. 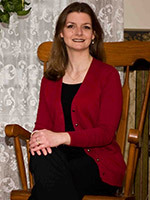 Since then, her work has appeared in the Good Newspaper in Syracuse, New York, as well as various local Christian publications and newsletters. It has long been her desire to write stories and novels that would inspire Christians to move closer to the Lord and draw the unsaved into the Truth of Christ. 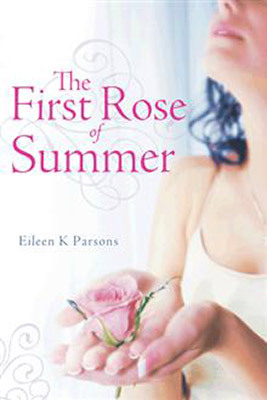 Since the publication of her novel, The First Rose of Summer , Eileen has been invited to speak at women's retreats and fellowships, including Wings of Grace Women's Fellowship, based in Pulaski, New York, the Mallory Wesleyan Women's Retreat at High Braes Refuge in Redfield, New York, Live More Ministries of Jefferson County, New York, and others. Eileen was born in Watertown, New York. Her father was in the Army, offering her a life of diversity and travel. She had the opportunity to see different parts of the world, traveling the East Coast of the United States as well as Germany. She spent most of her youth in Augusta, Georgia. She gave her life to Christ as a child and has continued to have a passion to serve Him. Her many experiences in life have increased her faith. She uses her travels and encounters as topics in many of her articles and stories. She currently lives in Upstate New York with her husband, Eric and dog, Sophie.